ovelist Doris Lessing, the Nobel-prize winning author of ‘’The Golden Notebook’’ and ‘‘The Grass is Singing’’ died at her home in London on Sunday at the age of 94, her publisher HarperCollins said. 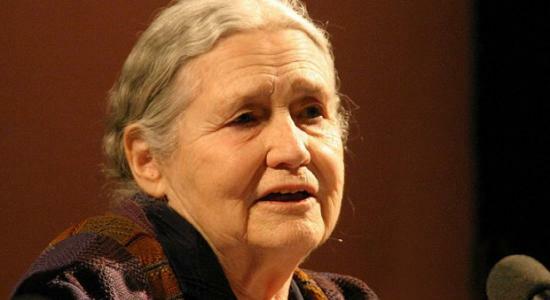 “Doris Lessing was one of the great writers of our age. She was a compelling storyteller with a fierce intellect and a warm heart who was not afraid to fight for what she believed in. It was an honor for HarperCollins to publish her,” He said. Lessing won the Nobel Prize for Literature in 2007, she being the 11th woman to be honored so. ‘’The Golden Notebook’’ was released in 1962 bringing her international fame with its experimental style and format. The Swedish Academy said in its Nobel citation that it “belongs to the handful of books that informed the 20th-century view of the male-female relationship”. She had authored about 55 novels including collections of short stories and essays covering subjects ranging from gender politics and race to science fiction. “The Grass Is Singing” was an immediate bestseller in Britain, Europe and America. Her early stories and novellas set in Africa, published during the 1950s and early 1960s, described the dispossession of black Africans by white colonials and exposed the sterility of white culture in southern Africa. Born to British parents in what is today Iran, on October 22 1919, Lessing immersed herself in Dickens, DH Lawrence, Dostoyevsky and Tolstoy. The biographer Michael Holroyd, her friend and executor, said her contribution to literature was “outstandingly rich and innovative”. He called her themes “universal and international. “ “She is one of those rare writers whose work crosses frontiers, and her impressively large output constitutes a chronicle of our time. She has enlarged the territory both of the novel and of our consciousness.” he added.